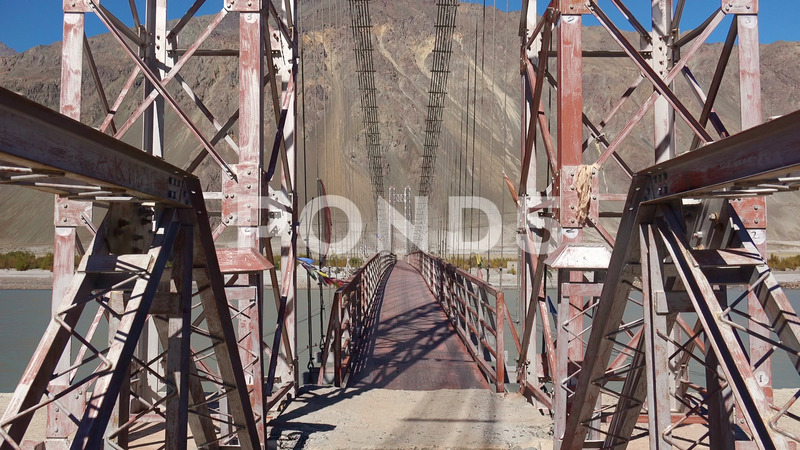 Description: Front view of bridge over Shyok River flowing through Nubra valley against clear blue sky and Himalaya mountains on background. Impressive manmade structure built in highlands. Ladakh, India.